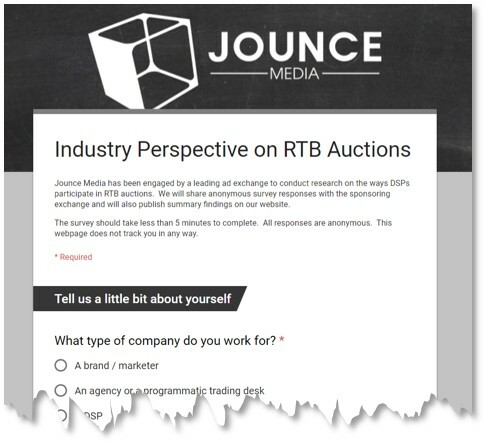 Jounce Media has been engaged by a leading ad exchange to conduct research on the ways buyers participate in RTB auctions, and we want your opinions. Please take a moment (less than 5 minutes total) to complete our survey about the fast-changing state of programmatic auctions. We'll be publishing the results on our website in October.